Each month we have to share the projects we want to complete before the End Of The World. This year I managed ten finishes from the list, worked on another six projects and only had two unstarted. 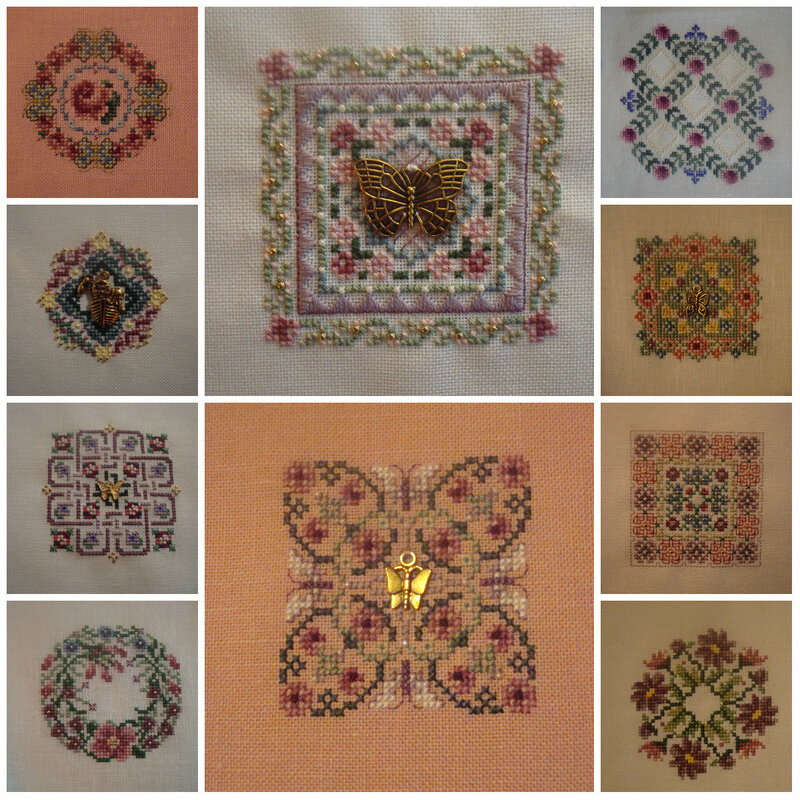 And the other seven finishes, including a Just Nan small I left off that top photo! I'm still working on my 2019 list and will be showing that on the first WIPocalypse update due on the 6th January, 2019.
side-note - this is my 90th WIPocalypse post! We seem to be doing a good job at holding off the end of the world. Finally, a number of people have been asking about the Smalls SAL run by Stitching Lotus. Heather has been in touch with me to say she has someone interested in running the SAL in 2019 as she currently does not have the time to do so. No, the someone is NOT me, I have enough SALs already LOL. An announcement will be made shortly as to what is happening. So, keep stitching those Smalls! you certainly accomplished so many projects in 2018! Well done. Jo: You did have a very productive year. That is so nice someone wants to do so. Wonderful selection of projects, Jo! 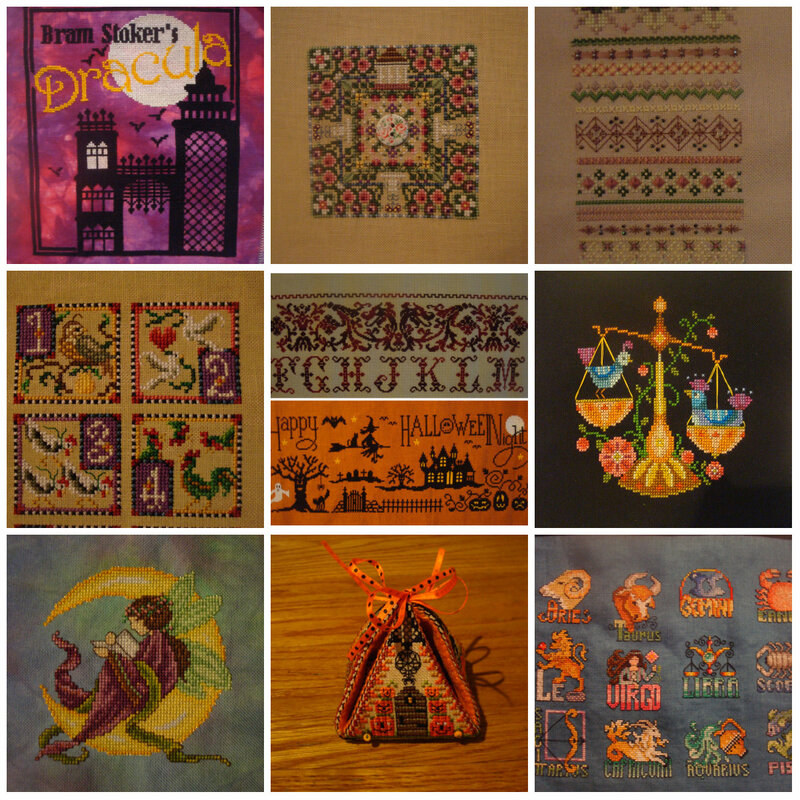 I love your Happy Halloween Night, the Autumn Tree, the Moon Fairy, the Satsuma Libra, Dracula, but they are all amazing. Good luck with your 2019 list. I feel it might be time to stop mirroring the year, but I'm not sure. Wonderful stitching year. I really like reading your recaps as they give me some incentive to get myself back into gear. Looooool, when you mentioned Heather finding someone else, I immediately thought this was going to be the announcement you taking over. You could make 2019 the year of posting a new SAL Every! Day! Congrats on all your lovely finishes and you've had plenty of progress on all the rest. We'll just ignore the poor unstarted pieces, laaanguishing away in your stash. You have had a very successful year!! 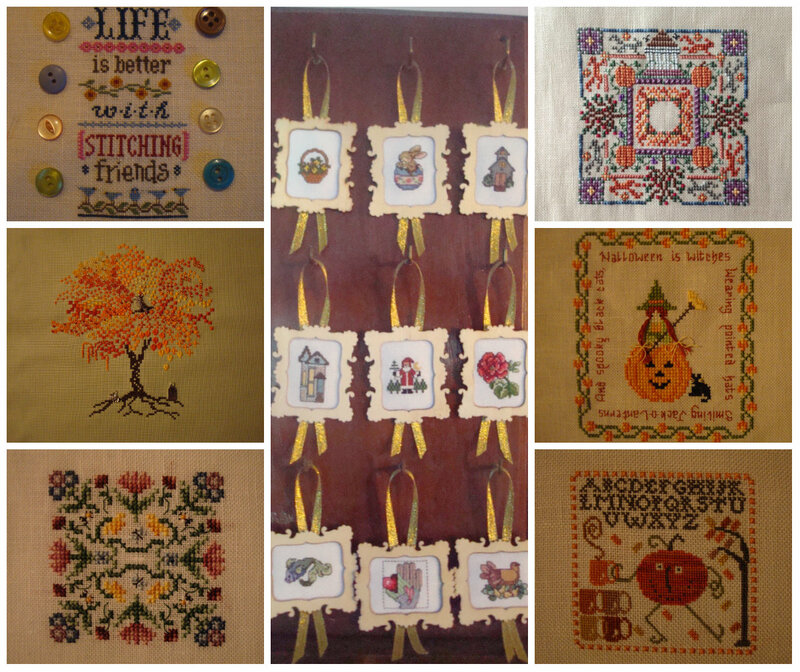 You did so many wonderful designs! Great job with all your beautiful finishes!! Can't wait to see what you work on in 2019. Sorry to hear Heather is stepping down but glad to hear it is continuing. I do like Rosey's idea of you hosting a SAL everyday though haha. You're awesome enough to pull it off. What a lot you got done...... so many lovely things. 2018 was a really good stitching year for you, Jo. I'm looking forward to seeing your 19 in 19, too. Wow... you did an amazing job. I look forward to trying to figure this all out and starting in 2019 to be part of this group. Congrats on all you accomplished in 2018. I know that 2019 will be another good one for you. You did great this year! Congratulations on reducing your WIP list to just 20. Give it a few years, and you'll be able to fit all your current WIPs in the 'x in x' list, with new starts to spare! Congratulations on so many wonderful finishes, they all look fantastic!